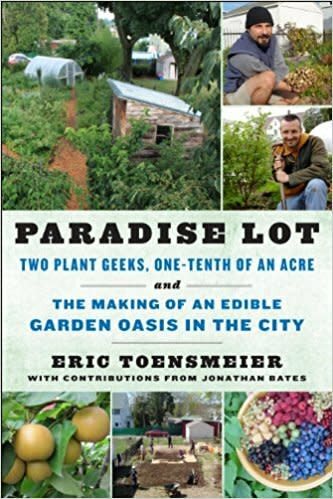 Paradise Lot is a funny and charming story of two single guys, both plant nerds, with a wild plan: to realize the urban permaculture garden of their dreams and meet women to share it with. Amazingly, on both counts, they succeed. At times a story of personal journey and discovery and at times a manual for developing an urban oasis, Paradise Lot will appeal to permaculture geeks and romantics alike.